Every once in a while, this listless, wanton and mainly hungry feeling comes over me. The desire burning behind my glazed over eyes? Burgers. I start looking at burger bar menus around the world. I see what bloggers have found between two buns. 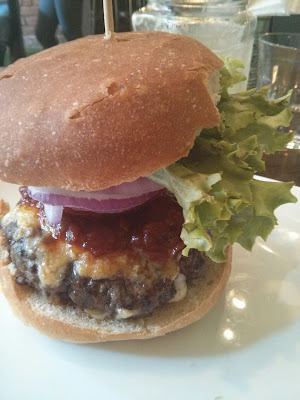 I read newspaper top tens about a city's best burger. Recently, this feeling was coming at me in spades. Within a day of each other (something I imagine left the other business owner exclaiming "Oh, come ON") two of America's biggest names in burgers opened in London. Shake Shack has long been coveted as one of the best burgers over the water, and competitor Five Guys (Burger and Fries) just pipped them to the post. For three days, my Instagram and Twitter feeds were full of Londoners smugly putting up their pictures of burgers. With a soft, brioche bun, oozy cheese and rare beef, I was a-hankering like never before. So I decided that I would begin a hunt for the best burger in the world. Wherever I go, I will seek out the best the city has to offer, and report back here, all fat and sweaty. 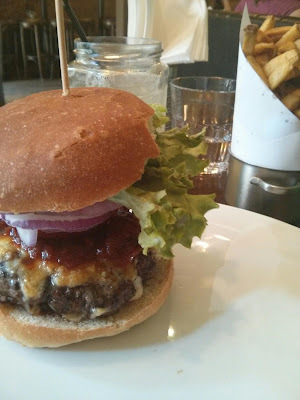 First up - Jo'Burger in Dublin. A million Irish eyes just rolled. I know, I'm so late to this party. Jo'Burger has been a Dublin favourite for a good few years now, pulling itself out of examinership in 2009 and flourishing particularly over the last two years. But I'd never been, until a few weeks ago. I'd been in my bleary eyed burger hunger for a few days, and has promised myself that between meetings I would pop in to the Castle Market branch. On the day itself, the city was melting. It was a glorious, sunny and hot day, and it almost seemed wrong to be diving into a burger. Surely, I should have been taking a salad to Stephen's Green, or eating sushi or something. But a burger had been promised, so a burger it was. It was around 2pm when I went in, and the restaurant was pretty quiet, despite the outdoor seating being jammers an hour before. I went for the €10 lunch time special of a regular Jo'Burger with fries, adding a lemonade for €1.95. Actually, I could wax lyrical about this lemonade for hours. On the swelteringly amazing day (I will never, ever complain about the heat in Ireland, and I think those who do so are obscene) it was like manna from heaven. 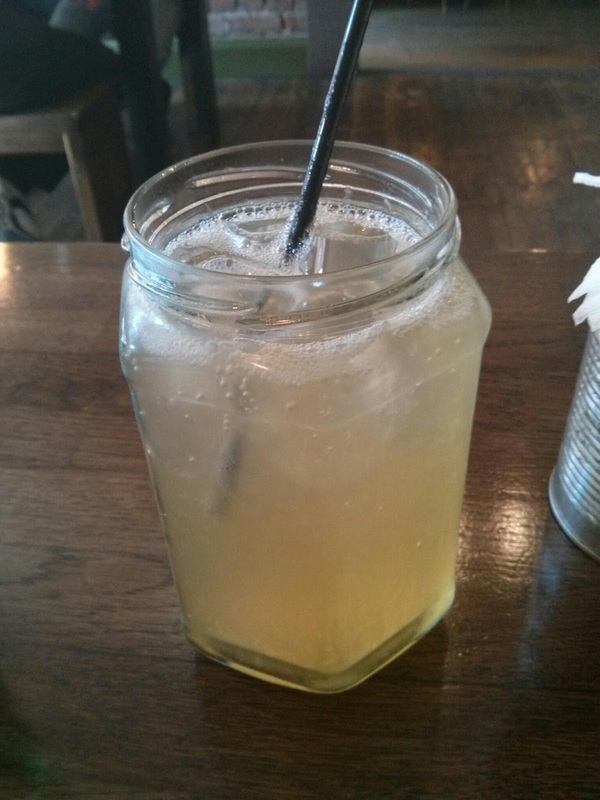 It was also a beast - served in a large jam jar (bit of a hipster move) that must have almost been a pint. It was zingy, refreshing, perfect. 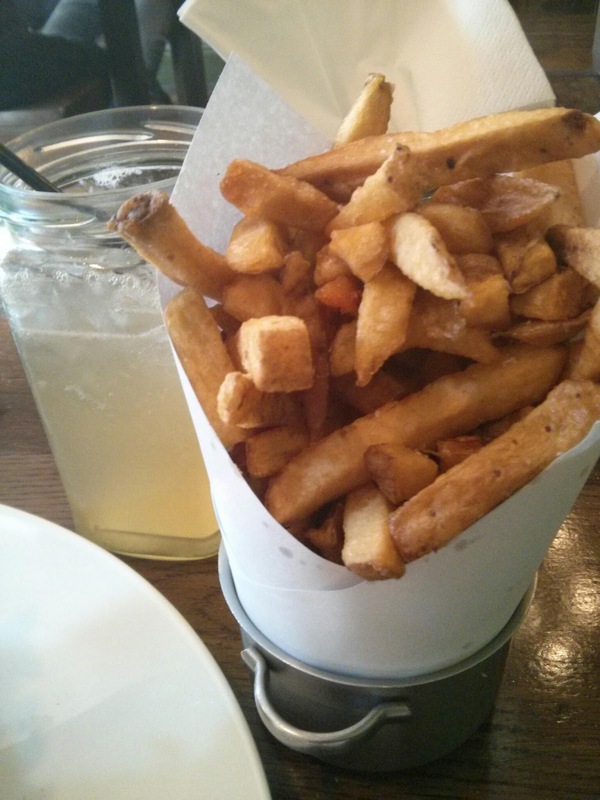 The fries were also a treat. Skin on (the only way for potatoes, in my eyes), crisp, fluffy on the inside and perfectly seasoned, they were just what you need on the side of a burger. The portion size was crazy. I could eat my body weight in chips, but I could barely get to the paper line. There was still a whole bucket underneath that. And so to the burger itself. I'm going to nitpick. The bun was a little over-toasted, meaning it was difficult to squish all the ingredients down. And while the site of a towering burger, held together with a cocktail stick (or tree branch) is always a sight that draws out the oohs and aahs, it actually makes for tricky eating. It looks good, sure, but in terms of practicality, it falls down. I mean, it literally falls down. Down, out, all over the place. And I just had cheese in mine. Some of the others were coming out with bacon, banana fritters, towers of things. There was no physical way to eat them. All the ingredients were top notch, and it was served medium, as asked (so many places cook a burger to death). But I just like a burger I can bite into without unhinging my jaw. And I have a big mouth. So, to the drawing board. Sorry, Jo'burger. It was all going so well. But for a burger to be good, you need to be able to eat it with ease. If you have a bigger mouth than me (psh, good luck with that) then you'll love it. If you're a more delicate beast, then nibble away at some fries and lemonade while you get a fat friend to sit on a burger for you until it is mouthsized. DISCLAIMER: The Great Burger Hunt (TM) will not be a lengthy and scientific study. It will be me, eating a burger every so often, and blabbing about it.